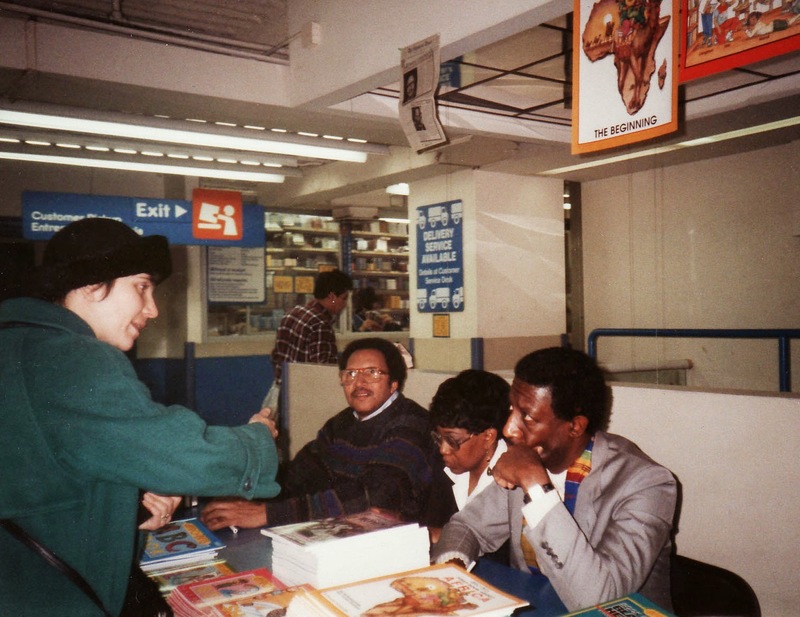 Walter Dean Myers, Cheryl Willis Hudson and Wade Hudson sign books at a Toys R Us in NYC. Photo courtesy of Just Us Books. I was stunned when I heard that Walter Dean Myers had made his transition. During the 25 plus years that my wife Cheryl and I have been involved in publishing, it seemed that Walter was always “there.” We started Just Us Books, Inc. in 1988 to publish more books for children that focused on black experiences. Writers and artists such as Virginia Hamilton and Arnold Adoff, Eloise Greenfield, Patricia and Fred McKissack, Tom Feelings, George Ford, Leo and Diane Dillon, and of course Walter Dean Myers, had already blazed a trail as book creators that we would follow. We were novices, in a way, learning the business of publishing on the fly. Yes, Walter Dean Myers was a prolific, multi award-winning writer. As stated on his web site he“touched so many with his eloquent and unflinching portrayal of young African-American lives.” Walter visualized a better world. In the tradition of Frederick Douglass, he used words to encourage, empower, challenge, advocate and agitate for the change that would bring that world about. In that regard, for me, at least, he was a freedom fighter, too. Reprinted with permission of Just Us Books.